In spite of its immense success as an anime and manga series, Attack on Titan is a franchise that has, at least until now, struggled when transplanted into the realm of video games. 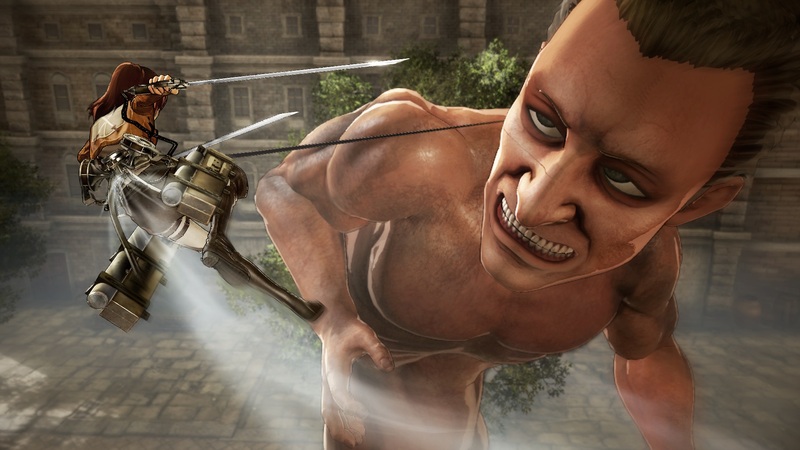 Attack on Titan: Humanity in Chains attempted to bring the excitement of the franchise to the 3DS last summer, but Tokyo-based developer Spike Chunsoft’s handheld adaptation ultimately failed to do the towering franchise much justice. Now, just over a year later, Dynasty Warriors developer Omega Force and Koei Tecmo have strapped on their Omnidirectional Mobility Gears and sharpened their blades to bring us a high-flying adventure that largely lives up to the series’ towering ambitions. Attack on Titan closely follows the plot of the series, putting players in control of such memorable characters as Eren Yeager, Mikasa and Levi Ackerman, and Armin Arlert as they battle the series’ titular terrors. For the uninitiated, the story begins years after the Titans, a mysterious race of giant humanoid creatures appeared, nearly wiping out all of humanity. To protect themselves from this threat, the last remnants of humanity erect three concentric walls around the last refuge of humanity, called Maria, Rose and Sheena, never daring to leave the city’s confines. After a mysterious 60-meter tall Colossal Titan appears one day and breaches the outermost wall, smaller Titans scramble through the makeshift entrance and ravage the district, forcing the residents to cut their losses and retreat behind wall Rose. In the carnage one-fifth of humanity’s population were killed, among them the mother of a young Eren Yeager. 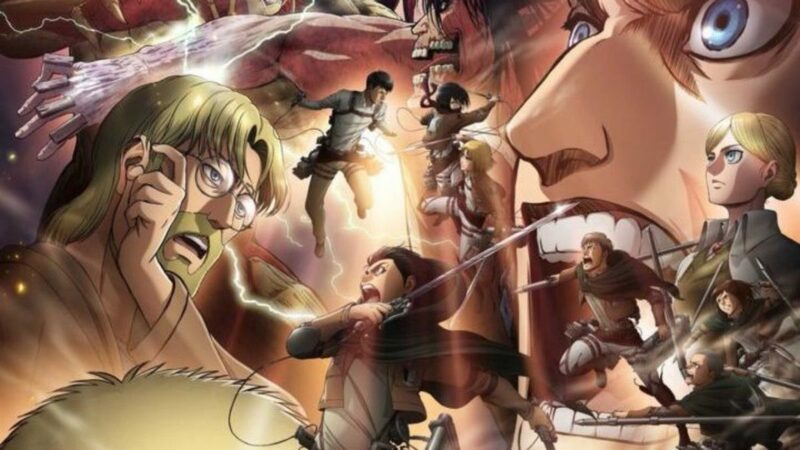 The story of Attack on Titan takes place five years after that fateful day. 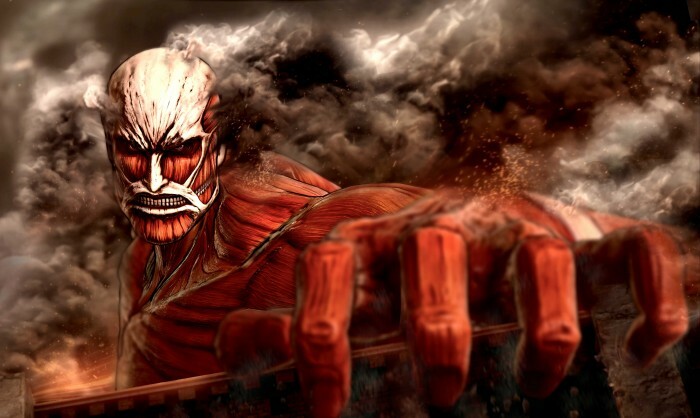 The Colossal Titan returns, and Eren Yeager, now a member of the 104th Training Corps, seeks to get his revenge against the Titans and save humanity from the threat of almost certain extinction. Given Omega Force’s past releases, it’s honestly a bit surprising to see just how much effort the Dynasty Warriors developer put into fleshing out Attack on Titans‘ story. The game features a wealth of written dialog and voiced cutscenes that closely parallel the story of the anime and manga series. The main campaign puts players front and center in many of the story’s most memorable moments, and the excellent Japanese voice cast does a fantastic job of breathing life into the game’s sizable cast of characters. 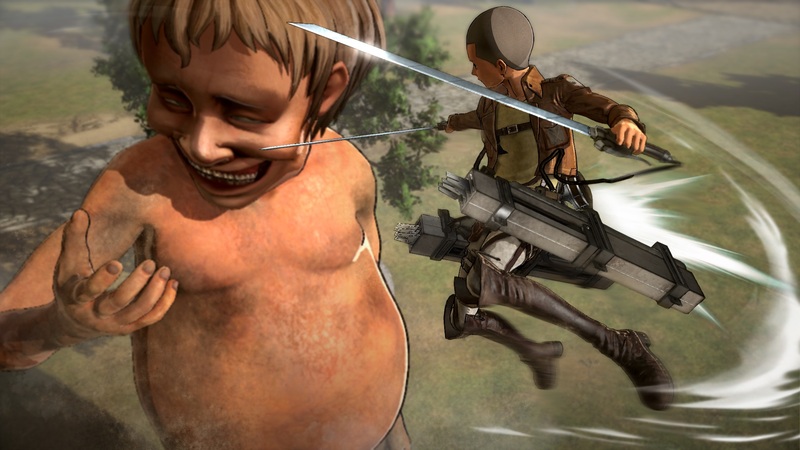 Of course, the meat and potatoes of Attack on Titan’s package is found in the giant-slaying gameplay. It’s here that Omega Force’s past work on the Dynasty Warriors series is instantly recognizable, as the flow of each stage feels similar to that of the studio’s pseudo-historical beat ’em up series. Each stage pits dozens of humans from different units against legions of Titans on massive battlefields. You’ll traverse sprawling cities, forests, and rolling fields either on horseback or via your Omnidirectional Mobility Gear. The most important tool for combating a Titan, the Omnidirectional Mobility Gear, allows players to swing across the environment by firing grapple-like anchors into nearby structures like a steampunk version of Spiderman. However, this fancy piece of tech isn’t just good for navigating the environment: it’s also essential for toppling Titans. Tapping the right shoulder button will bring up a targeting reticle, allowing you to cycle between a Titan’s arms, legs, and nape – which just so happens to be their Achilles heel. Once you’ve locked onto a limb you can fire an anchor into your target. Once anchored, a quick button press will send your hero hurtling towards your target, where a well-timed slash can slice a limb clean off or deliver a killing blow, depending on where you’re aiming. Oftentimes you’ll find the best strategy is to hack off a Titan’s limbs to immobilize it and leave it defenseless, allowing you to target the back of its neck and go in for the coup de grâce. While this sounds simple, things quickly get chaotic when multiple Titans of various sizes and shapes come into play. You’ll find yourself deftly flying from one Titan to the next, and you’ll need to exercise careful crowd control by hacking the limbs off of Titans to immobilize them while you focus on the most immediate threat. That’s not to say the game is incredibly challenging by any stretch – many Titans can be killed before they have any idea what hit them – but each battle does manage to throw enough bodies at you to keep combat frenetic, especially when the more formidable Abnormal Titans come into play. The constant need to conserve supplies such as replacement blades, gas canisters, and grenades also ups the ante as you’ll want to fight with efficiency and precision to avoid blowing through your stockpile of equipment, forcing you to track down nearby caches or comrades who can restock your surplus of Titan-killing tech. One of the most rewarding things about Attack on Titan is the noticeable difference between how each of the playable characters handles. More than a skin swap, each of the game’s main characters brings their own skills to the table in their fight against the Titans. Eren is a great all-around fighter, while Mikasa focuses on speed and rapid-fire attack chains to bring down her foes. Armin is more a strategist, with low offensive and defensive capabilities, but she’s able to effectively call in support units to do her dirty work. Levi is probably the most entertaining of the bunch, as the Survey Corps leader is an absolute savage on the battlefield, striking down even the fiercest of Titans with his deadly spinning blade attack. Overall, each character is fun to play as in their own way, though Eren’s unique ability to turn into a Titan and go hand-to-hand with giants in Godzilla-esque melees certainly stands out as the most distinct play style of the bunch. There’s also a bit of RPG-style customization thrown into the mix here. When not on the battlefield players can wander around town, using the various shops to buy and upgrade your gear, as well as use materials you find in a battle to develop new blades, scabbards, and Omnidirectional Mobility Gears. It’s not the deepest system, for sure, but it gets the job done. And you’ll even find yourself replaying missions frequently to get the resources needed to unlock the best equipment available. 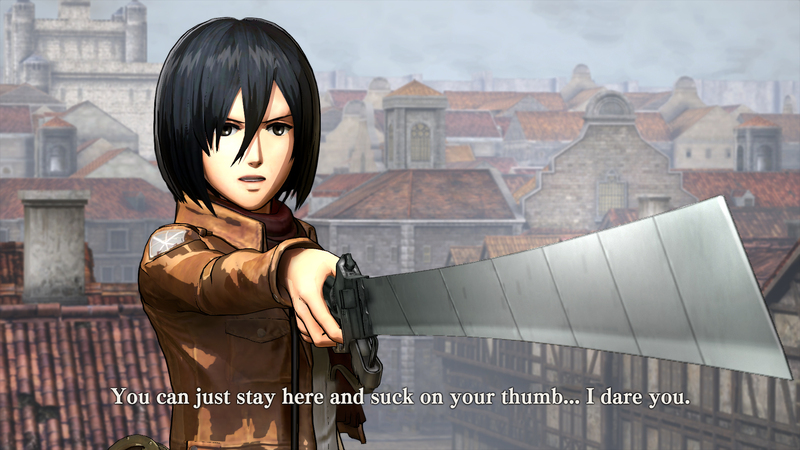 These days you’d be hard-pressed to find a game that doesn’t offer some sort of online multiplayer component, and Attack on Titan is certainly no exception to this rule. The online Expedition Mode allows four players to undertake Survey Missions – optional sorties that are also available in the single-player portion of the game – as you perform various objectives, which almost always end with a battle against an Abnormal Titan. These missions task players with exploring uncharted terrain in various sectors, clearing battlefields and protecting various targets from assault. 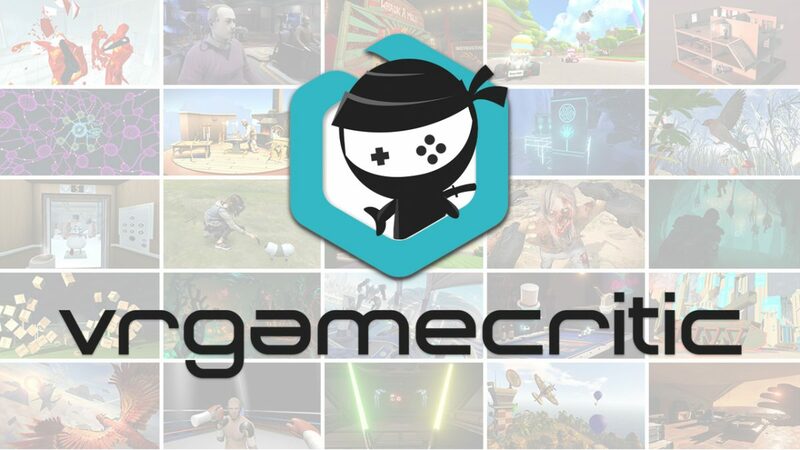 While linking up with friends and taking on these challenges is seamless, these challenges feel mostly toothless when played with seasoned teammates, making each fight feel more like a race to see who can claim more kills than anything else. Still, it’s nice to have the option to power through the survey missions with friends, and completing these missions unlocks more abilities for your team in the game’s single-player portion. While I really enjoyed the time I spent with the game, Attack on Titan isn’t without its faults, though most of them are a direct consequence of the game’s faithfulness to its source material. The biggest issue is that the core gameplay does begin to feel pretty repetitive over time. This is mostly due to the rinse-and-repeat nature of the game’s combat. Though it’s hard to blame Omega Force for this – after all, there’s only one way to kill a Titan, it’s just a shame that more wasn’t done to flesh out the game’s combat system. There are some variables that pop up over time, such as Titans who are immune to damage until they’ve been hit with a flash or sonic grenade, but this slight shift in strategy almost feels inconsequential in the grand scheme of things. Another issue that pops up rather frequently is some rather serious dips to the game’s frame rate, which can result in some headaches when trying to lock onto a specific target, especially when tackling multiple Titans at once. Couple these sudden drops in performance with a camera that’s prone to freaking out at the worst possible moment and you have a recipe for frustration. Thankfully, these issues seem to rear their heads most in the game’s congest city stages, and the game generally performs much better in less congested areas. Still, for a game that’s developed with Sony’s handheld in mind, it’s a bit disappointing that the PlayStation 4 version of the game we were provided for review suffered from these problems to begin with, though these issues are far from deal breakers. These niggling issues aside, developer Omega Force deserves to be commended for what they’ve managed to do here. Attack on Titan does a great job of fusing Hajime Isayama’s hugely successful anime and manga series with the studio’s popular Dynasty Warriors franchise to deliver a game that feels like a loving celebration of both properties without sacrificing one iota of what makes both series so great. Though it may feel a bit repetitive at times, the game’s impressive emphasis on story, varied cast of playable characters and welcome customization features will keep all but the most jaded players engaged from start to finish. If you’re a fan of the series who’s been eagerly anticipating a proper Attack on Titan game deserving of the name, this is the experience you’ve been waiting for. Full disclosure: This review was written based on review code supplied by the game’s publisher, Koei Tecmo America.